What does a BNI - Business Referral Network Franchise Cost? Open BNI - Business Referral Network in any of these available states: AL, ND, TX. 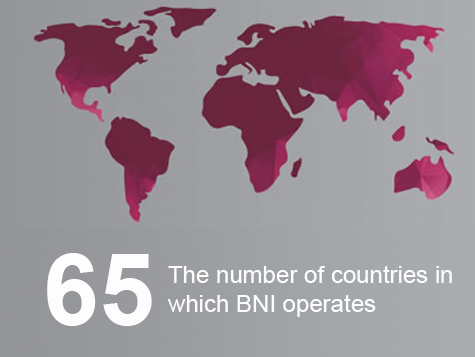 BNI has grown to include over 200,000 members worldwide, with chapters in 65 countries across the globe. It has grown because it solves a fundamental challenge all professionals face: What is the best way for me to generate word-of-mouth referrals and generate more sales? In 2015 alone, millions of BNI referrals led to $9.3 billion in sales worldwide. Our franchisees, which we call Executive Directors, help start and grow BNI chapters, earning revenue from members who pay a modest membership to join an organization that essentially adds a roomful of new sales people to their team. Since members benefit by expanding the number of people in their BNI chapter — and thus increasing the number of potential referrals — they double as recruiters, which helps BNI chapters grow. BNI has all the right ingredients and the right recipe to make for an enduring franchise. It is an iconic, well-entrenched brand that has a proven track record of sustainability. BNI has grown steadily for three decades — even during the Great Recession — thanks to the ability to deliver value to members regardless of the economic climate. 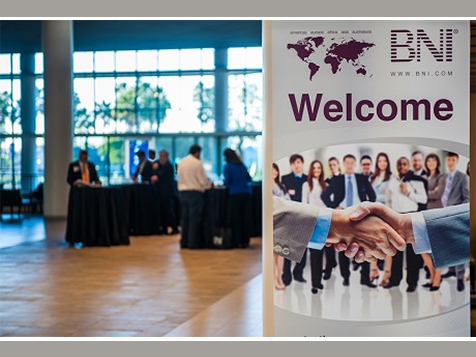 When the economy is thriving, referrals help companies stand out in a competitive marketplace and if the economic climate is weak, BNI members have the benefit of a large team of fellow members who drive business their way, helping them win an oversized share of available business. Executive Directors work to open and add members to BNI chapters. 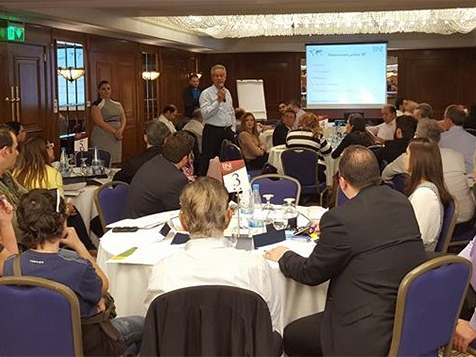 BNI brings together business people, each representing a different profession, in a chapter. A chapter has between 25-40 members and a member has exclusivity within a chapter. BNI members meet weekly to learn about each other’s services and learn how to give and receive referrals. BNI franchisees make money by maximizing the number of chapters within their region and maximizing the number of members within each chapter. Each BNI member pays annual dues and this recurring revenue is an important advantage of the BNI franchise model. Unlike most other franchises that are more transactional in nature (forcing you, for instance, to sell 1,000 burgers a day to 1,000 different customers, every single day), BNI’s business is built upon relationships and long-term value generation, which encourages members to renew and recruit friends and colleagues. Most BNI regional administrative posts are volunteer-driven or compensated at competitive rates which means the labor costs for operating a BNI franchise are fairly low. BNI chapter meetings are typically held in libraries or town halls which keeps overhead and operational costs low. Simply put, a BNI franchise yields recurring revenue with low labor and overhead costs. BNI members do a franchisee’s work because members have a vested interest in seeing a chapter grow. The greater the size of a chapter, the larger a member’s network of indirect salespeople and therefore the higher the potential for increased sales. This means that each member is motivated to increase the size of the chapter — and through that, a franchisee’s revenue. A chapter and a region’s growth is organic and become self-perpetuating very quickly. BNI franchisees repeatedly report that their job of helping business people achieve success is personally fulfilling. BNI franchisees see the difference they’re making in the world and they’re part of a company that believes in social responsibility. Business people who are service-oriented and committed to doing good, who have strong sales and marketing skills and are looking for recurring revenue would make a great fit as a BNI franchisee. Our franchise owners, known as Executive Directors, are servant leaders who love the art of business. They are "connectors" who are engaged in the local business community and who want to help power the economic engine of that community. They have an affinity for economic development and job creation. They believe their calling is to help others be successful.